I was asked to write my first blog for the YES website and like anyone with an ounce of passion in them I jumped at the chance of writing about the one thing that gets me brimming with enthusiasm. Of course, with it tags along the vivid memory of where this passionate affair with wildlife photography started. They say home is where the heart is and mine surely lies in the middle of a dense forest. My first foray into the forest was also the first time I ever sighted a wild tiger. By principle I have never entered a zoo so this had to be the only way that I could be near wildlife. In the sweltering heat of late May, throat parched for the lack of water, skin burning till I thought my bones would melt and camera in hand, I had been waiting at a particular spot that I thought would be a good place to compose a photograph with a tiger in it. This wait had been on for almost over three hours and I could sense many around me had given up hope and decided to call it quits by leaving for the forest rest house. What remained was a very very enthusiastic senior couple and me. At some point I dozed off with my camera still pointed fixedly at the riverbed and that lovely cocoon of trees where I wanted the tiger to emerge from. All of a sudden our guide sent out a shriek that sounded a lot like Tiggggeeeeeer! And without much of a warning he simply wheeled me with my lens around to face a tiger staring at my backside. Now this was one of those moments where I didn’t know whether to shoot or simply let go and save my backside. Somebody covered my mouth so the scream let out by me couldn’t be heard and another whispered in my ear urging me to shoot. With trembling hands I started firing and to be very honest didn’t get a single worthwhile photograph. I was shaking too much and the tiger was much too close for comfort with nothing around that could save us lest he changed his mind. The adrenaline rush that I got from this first encounter was enough to set me off. It was an addiction and no amount of chasing wild tigers was ever going to be enough again. I haven’t looked back since then, and glad to state that my hands didn’t tremble again! The word nature brings to mind an assortment of memories for each. It could be as varied as sitting in the middle of a farm and listening to that early morning birdsong to experiencing winter rain on a mountain while out on a trek to being outdoors in the wild chasing tigers. As for me it always ignites in me the thrill of knowing that I am in the presence of the most majestic animal that walked this earth. For many years now, I’ve spent a considerable part of my life whiling away my time chasing tigers and silently stalking birds at every opportunity I get. The interest into birding came mostly from having a lot of time on my hands to kill while waiting patiently for the tiger to come out in the forest. Before I knew it I was addicted to both and had gone from counting bird names on my fingers to keeping logs of hundreds of bird species that I eventually went on to photograph. The only regret is that I did not discover my love for wildlife at an earlier age. It remains a sad fact that through all the school years with all the intelligently thought out focused curriculum hardly any priority is given to teaching students about preserving their fast depleting and much pillaged natural heritage. We talk about trying to educate and build responsible citizens for the future without realizing that the first responsibility we have is to conserve what we came from. One of my fondest memories of childhood was that of the sweet smell of earth after it rained followed by earthworms wriggling their way out of their flooded mud holes. I was always tempted to eat mud after that smell entered my nose. It’s been a few years now since I have smelled that same sweet smell and many more years since I have seen earthworms. At the risk of sounding preachy I would like those that are reading this piece to stop and think about who is really going to face the impact of the destruction of our natural heritage. Does it feel like time to wake up, shake up and get our act together? Here is my point, stop being a passive sympathizer. Much can be salvaged even today if we can stop and think a little selflessly. Nature does not deserve your sympathy, it deserves action and the only way to bring about a change is to start at an individual level. Conservation is no longer a choice, it’s the only way forward for survival. The earth remains the only religion I believe in. It is whom I pray to and also whom I pray for. 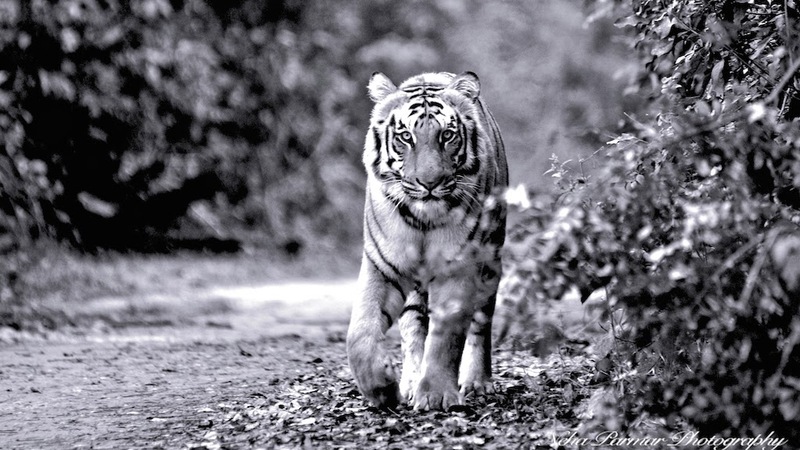 About the author: Neha Parmar is a wildlife photographer and a conservationist with some tolerable talent for writing. If you liked, connected or have a contrary perspective with anything that you read please feel to share your feedback. To see more work by Neha Parmar you can get onto https://www.facebook.com/NehaParmarPhotography. Disclaimer: This article remains copyright of the author and is her individual perspective. If you wish to give any feedback please get in touch with the author.